Even though Android and IOS are the two most popular mobile operating systems, their location settings work differently. Android: you have an ON/OFF switch button that allows to decide if you want to share your location, or not. IOS: you have the same options; share your location, or not, but you also have the additional option to decide if you want your location to be shared whenever the Facebook app is in use. Therefore, it is not clear whether or not the location of Android users is tracked when they are using the Facebook app. 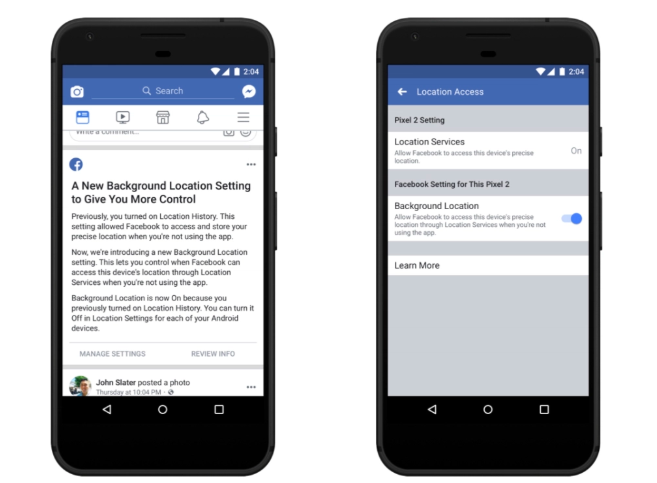 Facebook recently announced an update on how they collect and store the location information from users on Android. With the new update, users will be able to choose if they want to share their location, even when they are not using the app (see screenshot below). However, you will get a message from Facebook only if you activated the location feature in the past; Facebook will ask if you wish to keep your location information like this, or if you whish to switch it off. If you have never turned the location feature in the past, it will remain on off unless you decide to turn it on willingly. Tomorrowland is now 15 years old. As a celebration, it launches ‘Tomorrowland One World Radio‘, own digital station together with a content platform. Until August 31, its programmes will be available via the website and the Tomorrowland App. DAB+ broadcasting is also foreseen in Brussels and in Flanders. Programmes will consist of top 30 made up by fans, exclusive sounds, sets and shows by the most famous performers at Tomorrowland.